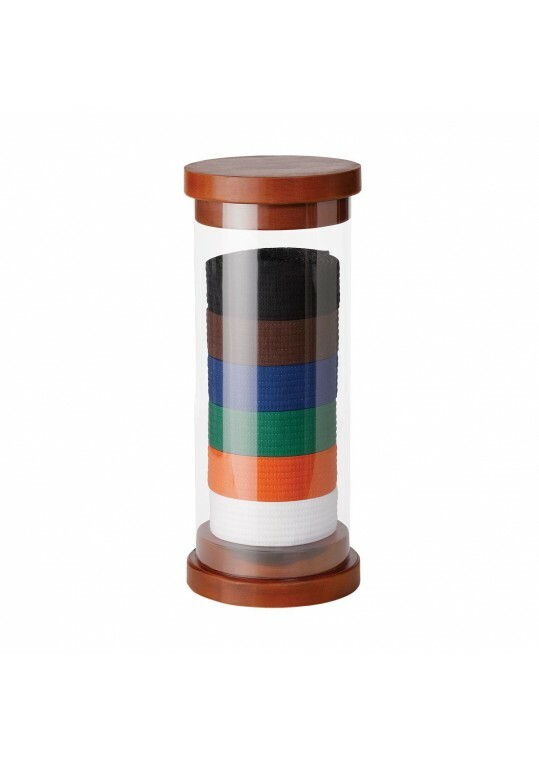 A unique way to commemorate your martial arts journey, this belt display is constructed with a solid wood base and top, and a clear acrylic cylinder. Available in six or ten level sizes. Belts sold separately.Imported .. 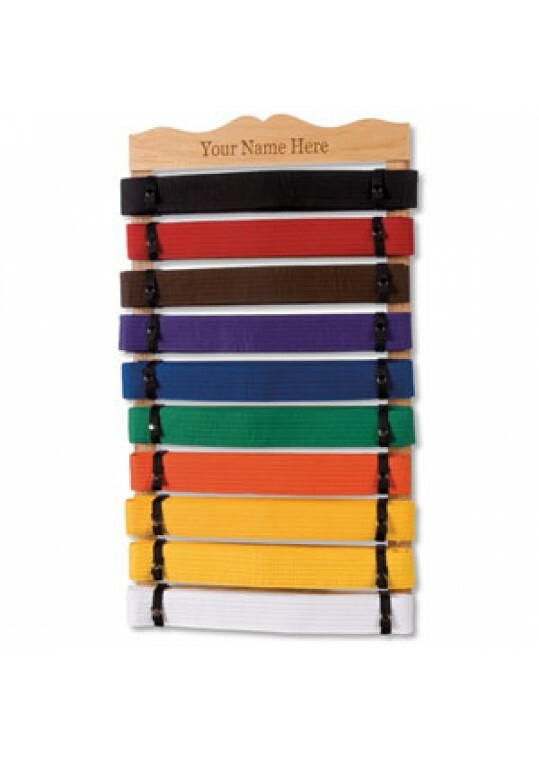 This customizable belt display offers a clean, bold look and comes complete with elastic straps that hold ten belts securely on 1.875" slats. Solid wood construction. Belts sold separately. Imported. Size: 10 level- 25.25" x 14". .. 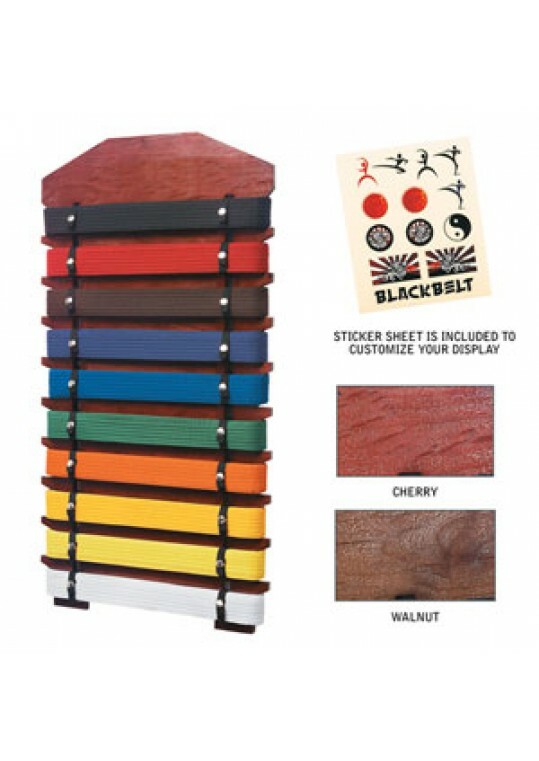 This display comes in three finishes: Walnut, Natural and Cherry. A sticker sheet is included for customization. Belts not included. Imported. Size: 23.25" x 16". ..